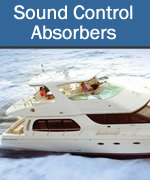 Some marine applications call for the absorption of midband and high frequency airborne sound energy. This energy may be in the form of mechanical and drive train noise commonly found in engine compartments and generator housings. 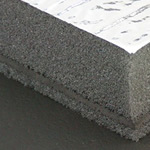 Typically, a marine environment requires that any material introduced needs to be water resistant. Cascade Audio Engineering offers a variety of materials that are durable enough to be installed into the most demanding of marine applications. 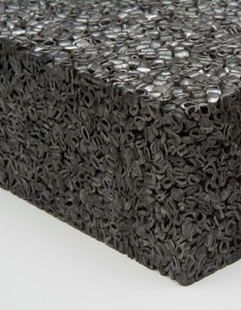 The Poly Acoustic material is perfect for marine applications! It is capable of absorbing and blocking sound energy. The SS-PA product is waterproof and UV resistant and extremely durable. 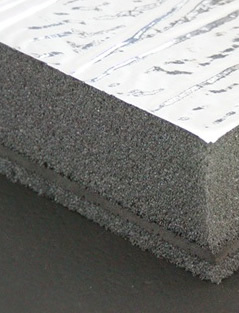 VB-TS is an adhesive backed, low profile combination thermal barrier and acoustic absorber. 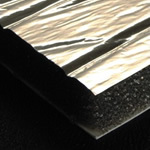 It reflects thermal energy and absorbs upper mid-band and high frequency mechanical noise. 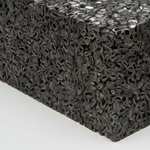 VB-TSM is the perfect product for severe noise control problems. It is especially effective for marine engine compartments and generator housings. 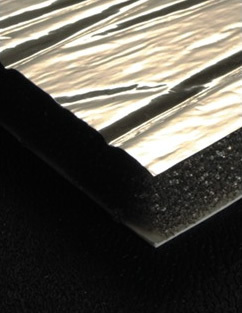 VB-TSM is a unique, high performance composite material incorporating two layers of acoustical foam, a loaded vinyl barrier and an aluminized mylar thermally reflective skin.